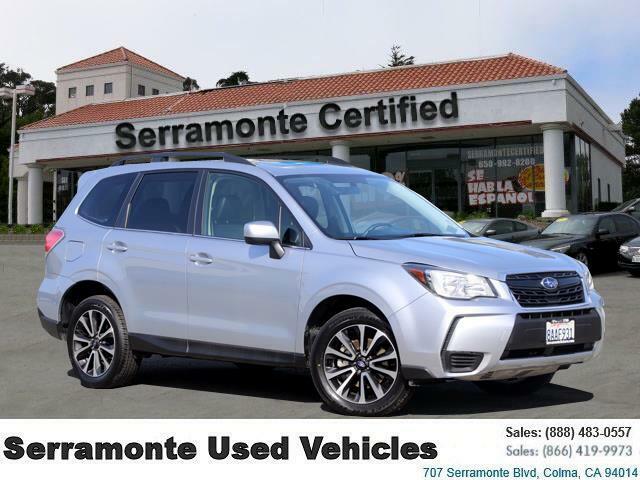 Check out our ONE OWNER 2018 Forester Premium Sport Utility. As a Certified Pre Owned Subaru you will enjoy piece of mind knowing that it has undergone a comprehensive painstakingly detailed 152 point inspection. Subaru is happy to offer a factory backed 7 year or 100 000 mile whichever comes first Powertrain warranty with $0 deductible. We'd be happy to answer any questions that you may have. Please contact us today at Serramonte Certified 650 992 8200 to arrange a closer look and test drive!